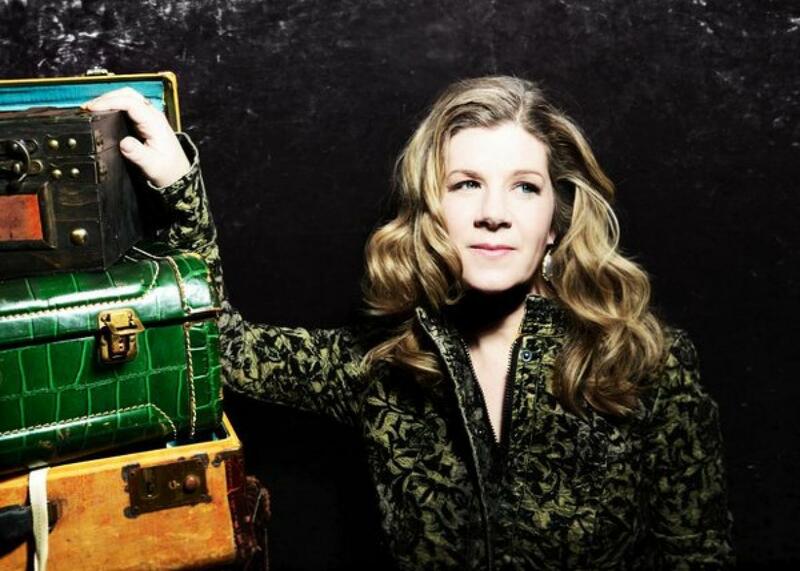 Dar Williams explains how “The Christians and the Pagans” became a holiday classic. Filled with similarly wry lines, the song, an audience favorite since Williams recorded it on her 1996 album Mortal City, nevertheless evokes rumination on fractured families and societal ills in listeners, some of whom drill deeply into the psychology of the lyrics. The acoustic-based singer, who will perform the song at her annual concert, “Christians, Pagans and Other Hipsters,” Dec. 26 at the Bell House in Brooklyn, remembers one such devotee, a high-school boy, who came backstage after a concert. He had just attended a rally in response to a gay bashing and said he was deeply moved by the reference to a lesbian couple in the song. “To hear this song today, I just can’t stop crying,” Williams recalled him saying. Nowadays, with queer anthems topping the pop charts, it may be difficult to understand the deep emotion behind that response. Williams, 48, has lived through that evolution, having been a pioneer of sorts at writing lyrics that countered entrenched notions of gender and sexuality. “A lot of my career success came because I was in communities where people were ahead of the curve with gender exploration,” said Williams, who toured tiny coffeehouses while attending Wesleyan University in the mid-’80s. She later lived in Northampton, Massachusetts, a liberal enclave, which, like many such neighborhoods of the time, did its share of questioning societal roles. “Northampton, where the women are strong and the men are defensive,” she used to joke. Williams, who released Emerald, her ninth CD, in May 2015, “came out as straight” more than a decade into her career, having been assumed by many fans—perhaps with some wish fulfillment involved—to be a lesbian. Her relationship songs have typically avoided gender pronouns, and she has regularly performed with the likes of Ani DiFranco and the Indigo Girls. For those of us in Williams’ generation who grew up eating condensed soup and macaroni and cheese, this bit of conversation only reinforces her famous championing of all things healthy and green. A longtime environmentalist who co-authored a book called The Tofu Tollbooth, Williams also works with kids in summer camps to plant bee-friendly gardens. The cover of End of the Summer, her 1997 CD, features a photo of Williams literally in the woods, her arms caked in mud. It doesn’t get much more earthy. It makes perfect sense that Williams, who has dedicated much of her career to rumination on identity politics, would now turn to a book focusing more outwardly on community. “We’re in a post-Aquarian world. We’re skeptical about love and harmony as the guiding principles of community building,” she said of the Gen X generation. Members of that generation will be at her concert on Saturday, likely hoping for a break from the holiday glare. “We usually have the show a couple days after Christmas, when you’ve either survived Christmas or the fact that you don’t celebrate Christmas. It’s a huge exhale,” she said.